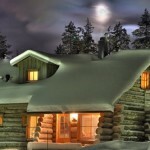 Warm Up With 7 Simple Energy Saving Tips! Did you know that up to 50% of your home’s energy use could be wasted due to improper insulation? Its possible to lower that amount significantly by addressing the issues. With a few simple fixes, you could lower your energy bill while heating your home more efficiently. This is an inexpensive and easy solution that will protect your AC unit from the elements. It can be detrimental to let the internal parts freeze or dampen or to let fallen leaves or other debris into the vents. During the winter, a cover will also prevent cold air from leaking into your house through the outdoor AC unit’s intake vents. Choose a cover made from a breathable material rather than a plastic cover. Otherwise you risk condensation forming on the inside of the cover, leading to moisture and rust. Weather strips are pieces of material that you can apply to windows and doors with air leaks. They can be made from materials like plastic, vinyl, felt or metal. The right material for each specific air leak will depend on the location of the leak and whether or not there are moving pieces or high traffic to consider. You can also use caulk to seal any gaps and cracks around windows and doors as well as the spaces where pipes and wires enter the home to eliminate loss of heat as much as possible. If you have a chimney, eliminate drafts by using a chimney balloon or chimney pillow. There are fireproof products available to ensure safety. The best part is that these solutions are relatively cheap and they are easy to apply even by a non-professional. Preventing sneaky drafts from creeping in under the door is easy. You can even place a rolled-up bath towel in front of drafty doors, or get crafty and make an adorable draft-fighting creature (a friendly snake would be a logical choice, as they are long and cylindrical) to guard your door. You could make an anti-draft snake by sewing a long, thin pouch of scrap fabric filled with rice. Hot glue some googly eyes on him and, voila! In stores, they come in varying sizes and offer a low-price solution to minor problems of that kind. Also consider buying foam pieces for insulating light switch plates and electrical outlets. These are an excellent solution to water-proofing your home if you live in an area that experiences frequent storms. 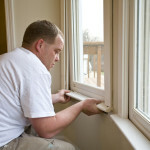 However, installing storm windows can be costly. If you’re not up to making the investment, consider a storm window kit instead – a plastic sheet or film which covers the window to make the window airtight and to prevent water from getting in. The plastic is attached either with tape or with attachable frames, and the process usually only takes a few minutes. Heat reflectors increase the effectiveness of radiators and other heat sources when they’re placed on the wall behind the heating implement. This will help in the overall heating efficiency of the entire home, saving you money and energy! Window films are really useful for preventing heat dissipation. These are thin plastic sheets which adhere directly to the surface of a window. They reflect the heat generated inside the room, to help keep it at a constant temperature. Programmable thermostats give you total control over your heating system. They can be programmed to heat your home only during certain hours of the day, so that you’re not needlessly heating an empty house when you’re away at work. These are a great way to conserve energy and lower your heating bills! By using some of these tips, you’ll keep cozy and warm this winter, without the waste!